Still up at 3 in the damn morning. 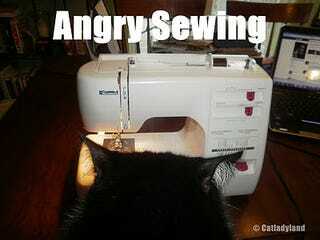 Freaking Halloween costume sewing. I always end up having to rip out stitches. ALWAYS. Every. Damn. Year. I'm going to bed grumpy.